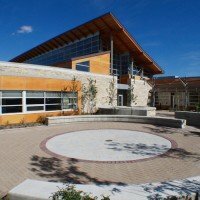 The Winnipeg Humane Society is one of the oldest community service organizations in Winnipeg, and the oldest animal shelter and welfare organization in Manitoba. 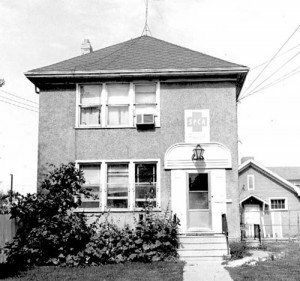 For over 120 years, we’ve continued to grow and adapt to meet the needs of Winnipeg’s animal population. Captain Dudley Smith was hired as the Society’s first agent. 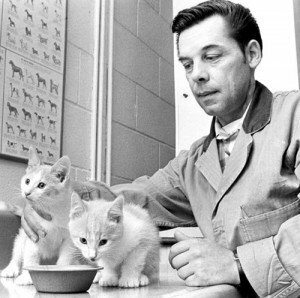 Armed with a streetcar pass and a basket for injured animals, Smith traveled five miles a day, caring for abandoned and injured animals while promoting the humane treatment of animals. A Woman’s Branch of the society was formed. This dedicated group of people worked on fundraising and education. The WHS reorganized to focus solely on the welfare of animals, as other agencies had been established to protect women and children. In these early days, there was a definite focus on inspecting slaughterhouses and trying to ensure the proper treatment of horses, the most common form of transportation in the city around the turn of the century. After a closure of several years, the organization regrouped and Sally Warnock joined the members of The Winnipeg Humane Society. Sally became a major influence on the operation of the organization and many Winnipeggers remember Sally’s passion for animals and the humane society, as she was a vital member of the organization for over 30 years. The organization received revenue from the Federated Budget Board that was supplemented by membership dues, donations and the Auxiliary. The Federated Budget Board withdrew its support and The WHS relied more heavily on other revenue sources. 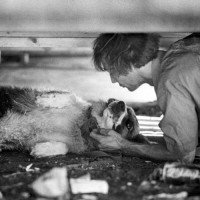 The City of Winnipeg opened the first shelter to house animals at 1057 Logan Avenue. The WHS purchased the Logan Ave. shelter from the city with donations from the Ladies’ Auxiliary and a bequest from a dedicated member. The shelter consisted of the main floor of the house, while Sally Warnock lived upstairs. The WHS did what it could to help during the flood of 1950. The shelter provided accommodation for more than 60 dogs and kept a list of missing dogs to aid evacuees with finding their lost pets. Sally Warnock, secretary of The WHS passed away. Donations made to her memorial fund built a new wing at the shelter on Logan Ave. She was also given tribute through the naming of “Aunt Sally’s Farm” at the Assiniboine Park Zoo. The City of Winnipeg named Warnock Street after Sally Warnock. Sally’s passing brought an end of an important era, and The WHS took a turn for the worse. The shelter once again, had to close until funds could be raised for a new facility. 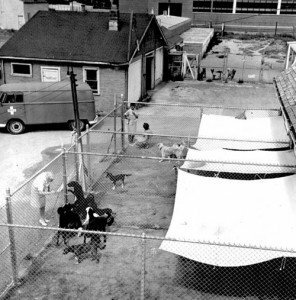 After a successful capital campaign, The WHS built a new shelter at 5 Kent Street. This shelter remained in operation for 39 years until it began busting at the seams. The building was originally designed to house 2,500 animals a year, but was continually housing almost 10,000. Animal overcrowding made proper disease control with critical quarantine procedures a practical impossibility. There was also inadequate space for the veterinary spay and neuter clinic and animal adoption areas. Educational programs were run out of a trailer in the parking lot. The WHS purchased an 8-acre lot for the development of a new facility in the Waverly and Wilkes area. A capital campaign was launched to pay for an improved facility. On October 25, after 8 years of planning and fundraising, the new 40,000 square foot facility, located at 45 Hurst Way, opened. 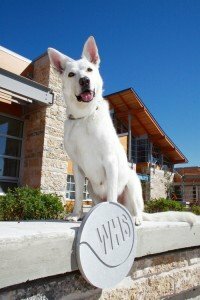 The Winnipeg Humane Society is one of the most successful and proactive adoption centres in Canada and is responsible for finding homes for more than 4,200 animals and reuniting more than 700 dogs and cats with their owners each year. Around 6,000 spay and neuter surgeries are performed annually, and the organization continues to remain on the forefront of animal welfare issues concerning the city, province and country.